Dash No Mess Waffle Maker Review - Is It Really Worth The Price? 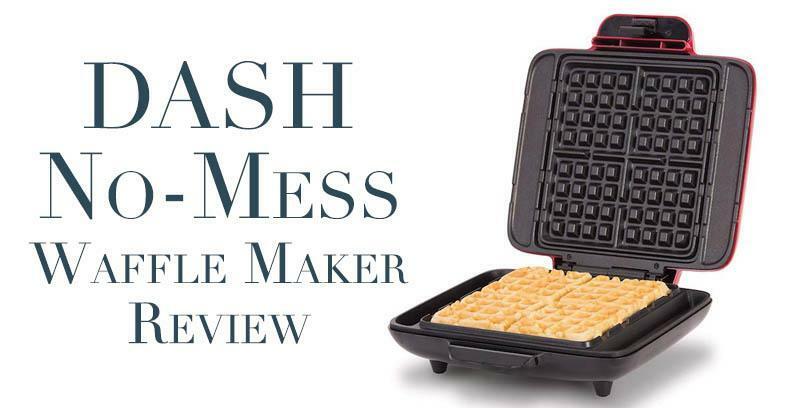 / DASH No Mess Belgian Waffle Maker Review – Is It Worth it? We can all agree that the worst part of making waffles is the clean-up job that comes afterward. Overspilled batter, mess everywhere, sticky clothes from all the constant batter wiping. Such a mess!!! Fortunately, Dash fixed that problem for all of us by introducing its No Mess Belgian Waffle Maker. As the name of the product itself suggests, it is quite able to avoid messy outcomes through its built in side pockets that help avoid the spillage of any excess batter. The waffle grids are also made of a non-stick surface, which should give you an easier time to tidy it up once you are done cooking delicious waffles in the morning. I know you’re busy! So, sparkled your interest enough? Read on through this review where I try to lay out all the Dash features and specs, cooking performance, as well as its pros and cons. By the end of this review, you should be able to make a more informed decision on whether or not it is a decent performer and a worthy contender for a place on your countertop. The DASH No-Mess waffle maker may look like your run-of-the-mill waffle iron, but what makes it stand out lies underneath its lid. The built-in anti-spillage moat-like side pockets are indeed a game changer, allowing you to pour as much batter as you like, without worrying about any overflowing. Well, not quite as much as you want, but still it can take considerable amounts of extra batter before it actually spills all over your counters. Another pro is that it turns the extra batter into delicious waffle bites for the kids to nibble on while waiting for the waffles to cook. How cool is that? We’ve already mentioned the anti-spillage moat a few times on this article, but another key feature of this device is that it has four cavities you can work with. 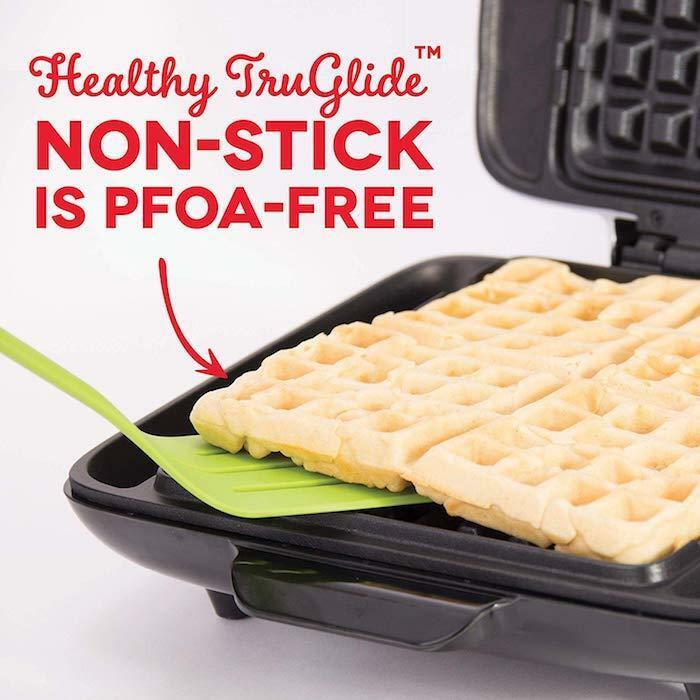 This simply means that unlike other brands that only have one, you can make four thick, diner-sized deep-pocket waffles in one go. Yes, they are rather small but if you have more than a few kids to feed it might come handy as we all know how patient the little ones are in the morning, especially when hungry and have to share their food. 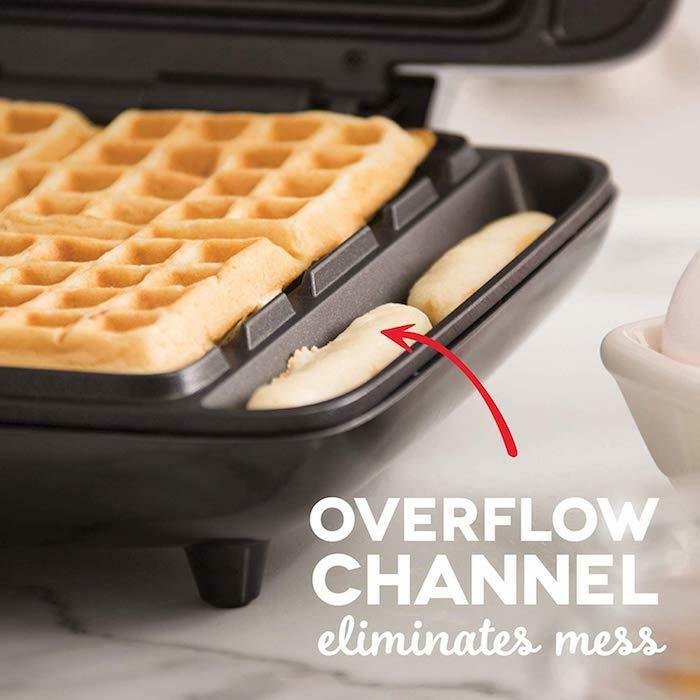 The four waffle plates can hold a half a cup of batter, but feel free to go nuts and fill it up nicely – the side pockets will turn any excess batter into delicious bites. This highly-functional waffle iron is made from durable plastic, which should leave out any worries about dents or scratches on its surfaces. However, it’s still not meant for overuse and abuse, so give your No Mess waffle maker its much-deserved TLC. One thing I personally like about its physical structure is that it does not take that much space. For the size of waffles it can churn out, its 12.5 x 11.3 x 4.6 inch-frame is not that much of a nuisance on my very small kitchen counter. Preheating this appliance will not take up five minutes of your time. You can expect to be ready and begin cooking before you know it, which should make preparing breakfast an elementary task to accomplish. Efficiency is the name of the game when it comes to appliances in this day and age, and the Dash No Mess Belgian Waffle Maker definitely fits the bill. This waffle maker essentially does all of the cooking for you. The duration will depend on how much batter you are using, but it takes 8 to 10 minutes on average for a waffle to be cooked thoroughly. There is no built-in timer on this machine, and you will know the cooking is done once it stops emitting steam and the indicator light turns off. Upon opening the top lid, feel free to enjoy your crispy, golden brown waffle. I couldn’t really find any faults during my time spent with the DASH waffle maker. Decent design overall and the no-spill function works magically when you don’t quite get the batter pouring process right. But don’t expect any miracles from it. After all, it is a budget waffle maker and as such, it is limited to some functions. The first one is the timer. While it does work it doesn’t quite get cooking temperatures right and you might end up with burnt waffles if you solely rely on it to tell you when the waffles are ready. The second one is that the build quality is nothing to write home about. It seems a bit flimsy. Nothing like the Presto waffle maker I didn’t like at all here, but still nothing like a proper iron – say the Cuisinart WAF-F20 or the Warring Pro, which I easily consider one of the best on the market today. 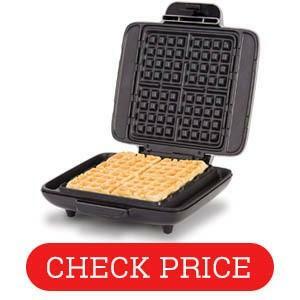 Overall, it is a decent budget waffle maker that will work for most. IF you’re feeding a large family it might take a while to prepare waffles for four people or most so it might be better to get something bigger and more powerful. Overall, I can recommend it if you can live with its limitations.